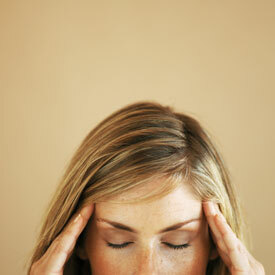 Because headaches are so common, some people think that getting a headache is just a normal part of life! Headaches are a sign that something’s wrong. Stress, toxic fumes, certain foods, preservatives, and alcohol are common culprits! Specific chiropractic adjustments can help correct spinal joint dysfunction created by the various chemical, emotional, and physical stresses in our lives.